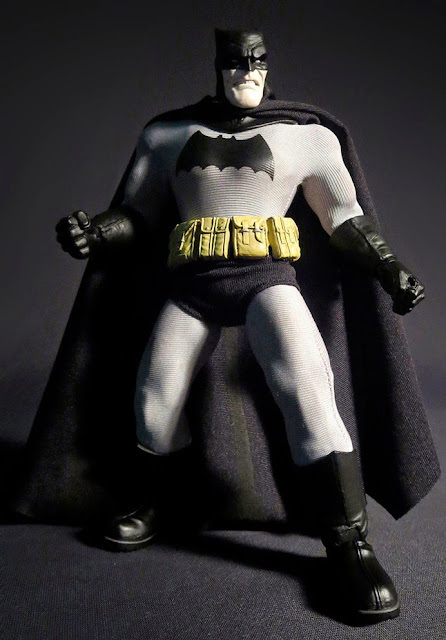 toyhaven: Mezco One:12 scale Frank Miller Dark Knight Batman 6.75-inch tall action figure is AWESOME! 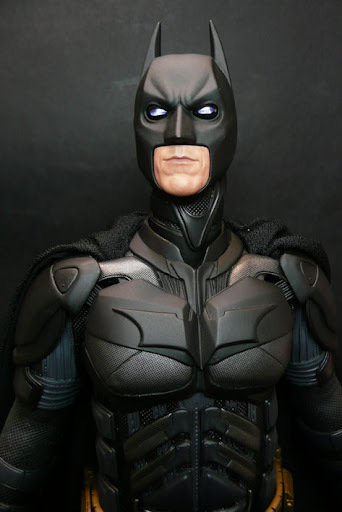 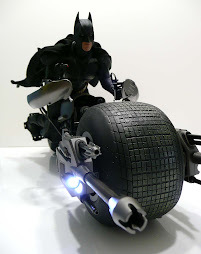 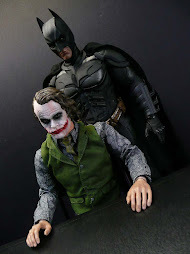 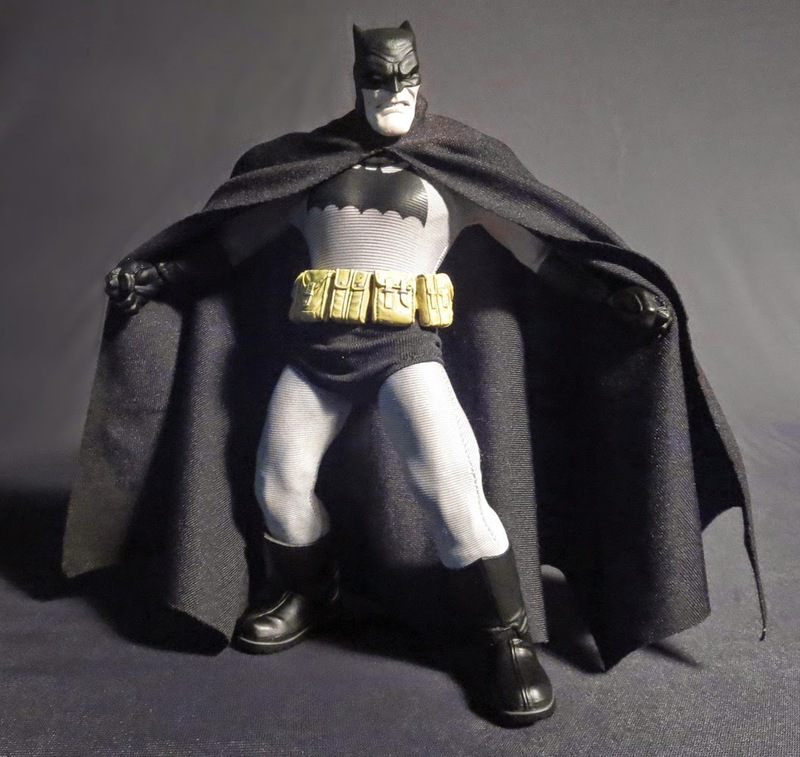 Mezco One:12 scale Frank Miller Dark Knight Batman 6.75-inch tall action figure is AWESOME! 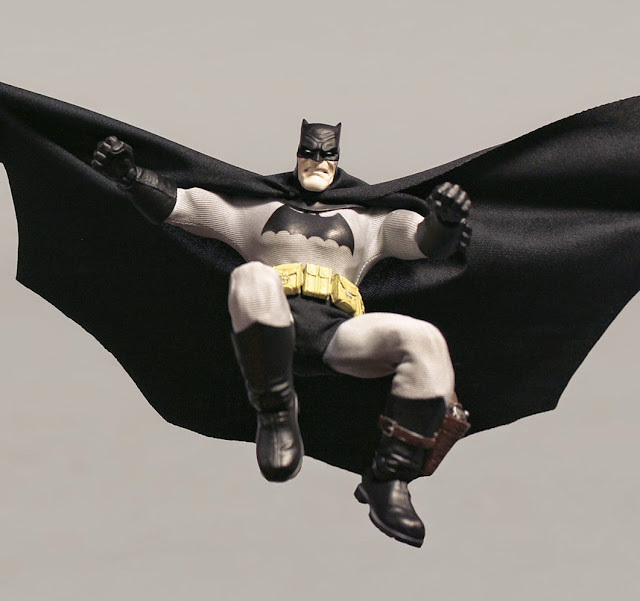 Mezco has released details and new images for its Dark Knight Returns Batman 1/12th scale action figure. 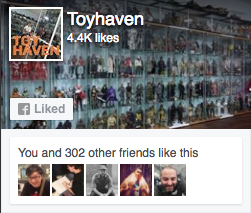 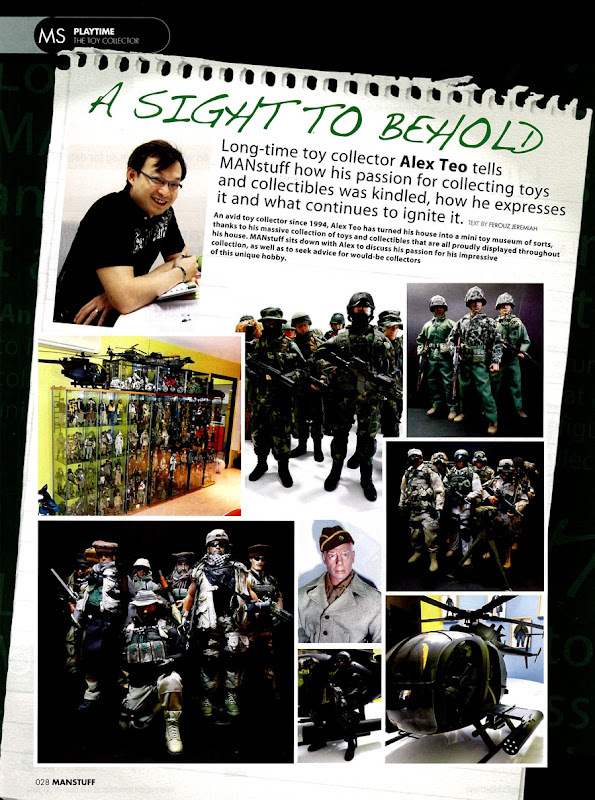 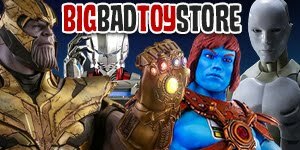 This is what I love about this hobby, when toy companies dare to try new things and not just be stuck with the old stuff. 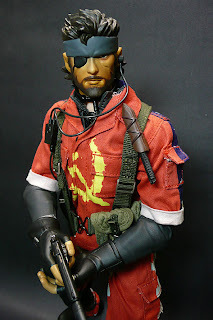 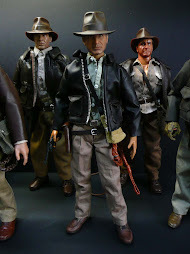 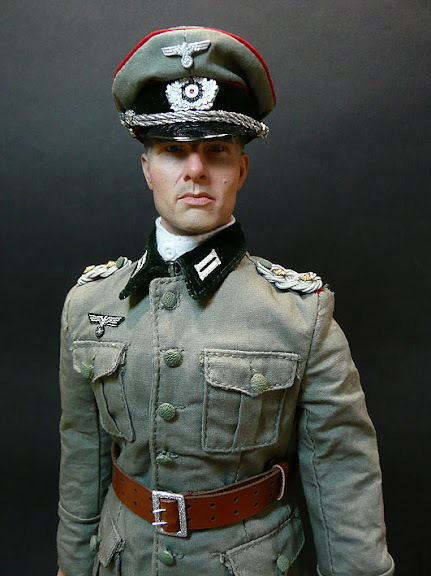 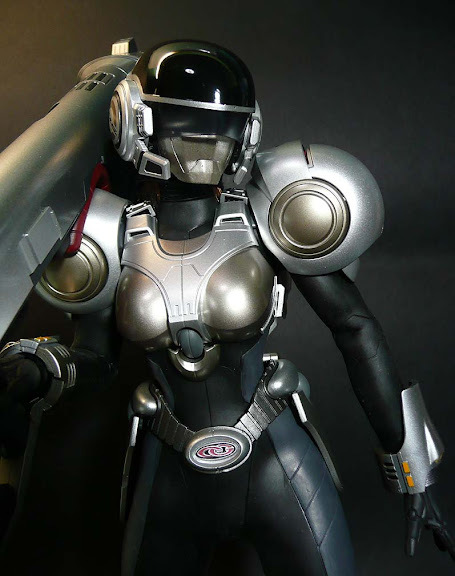 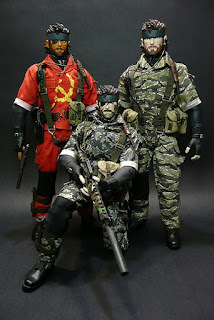 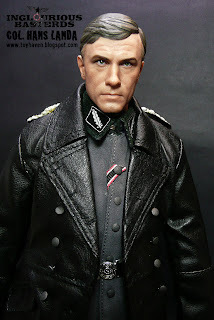 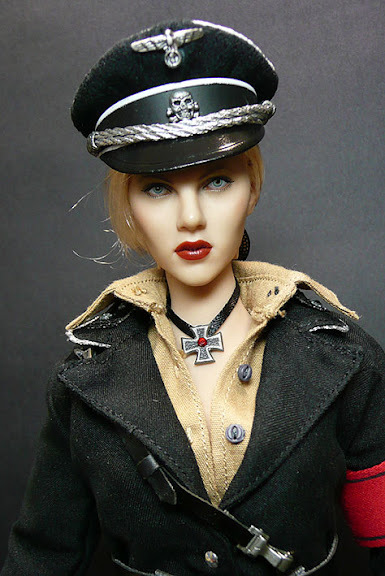 One of the reasons I went into collecting 1/6 scale figures was because of the fabric outfits / costumes which concealed the joints and made the figure look more realistic. 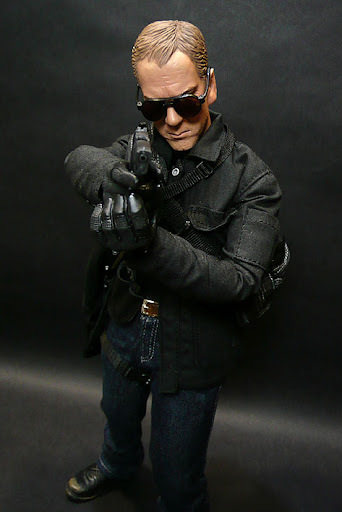 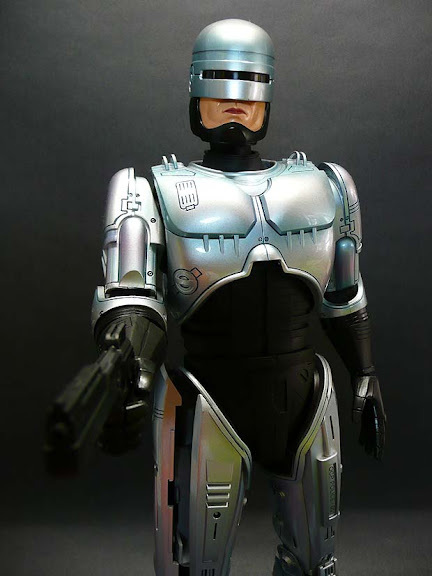 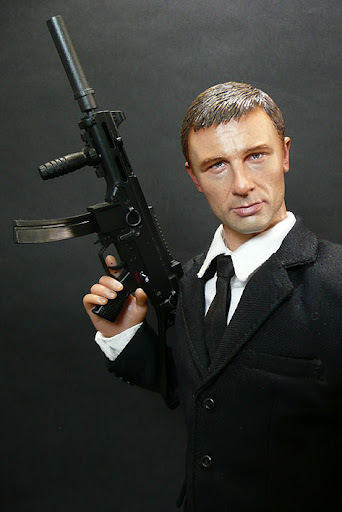 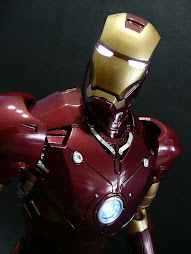 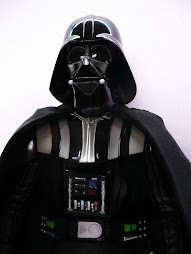 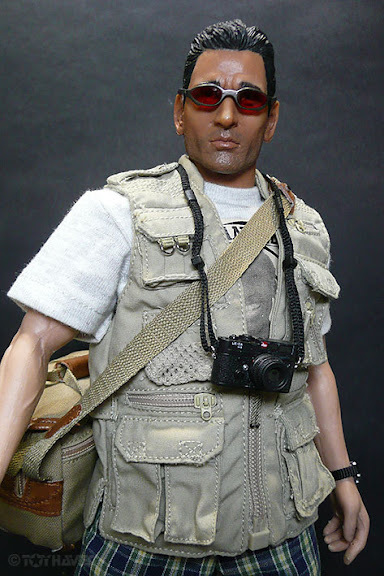 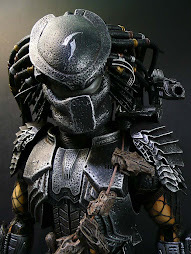 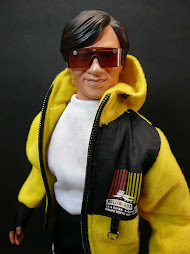 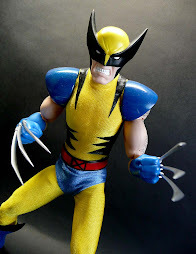 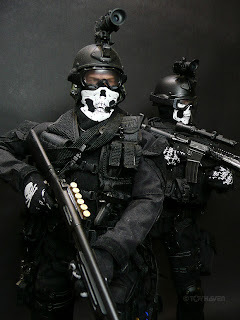 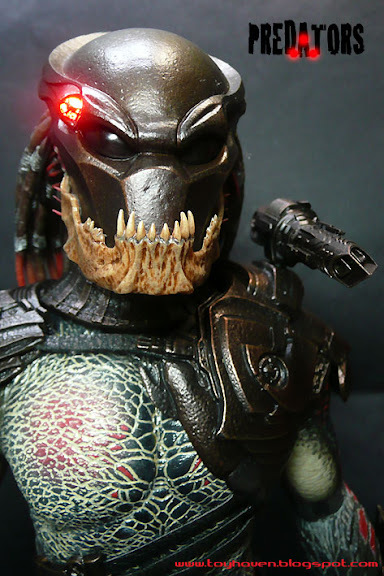 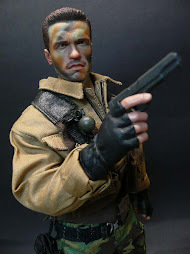 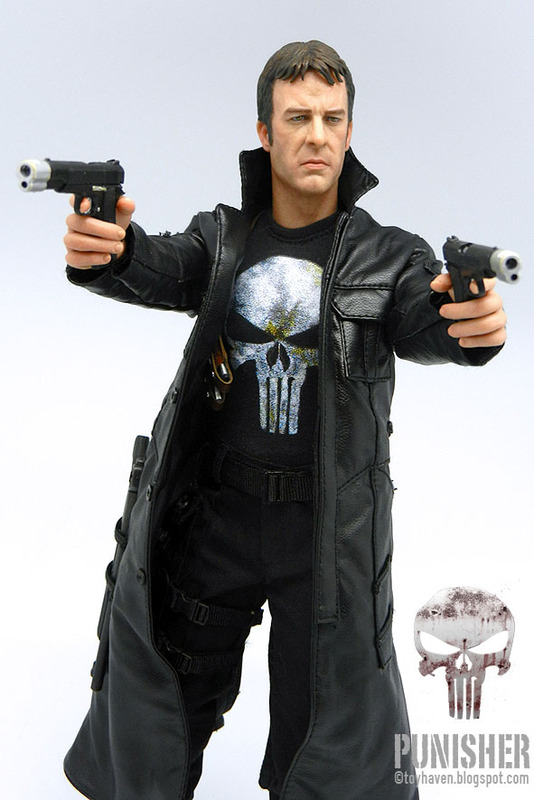 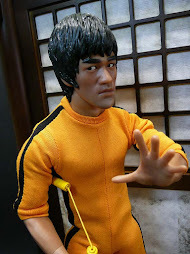 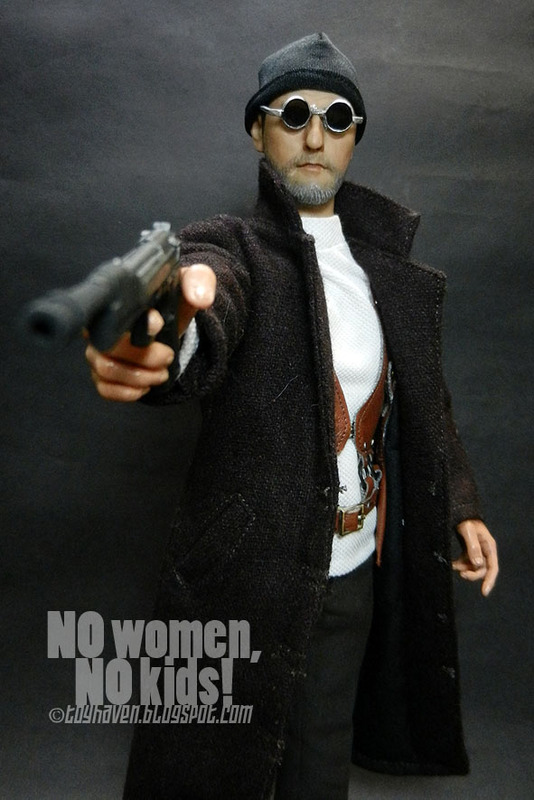 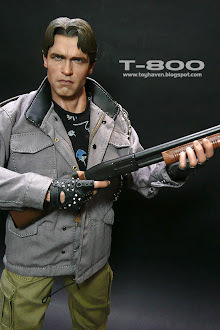 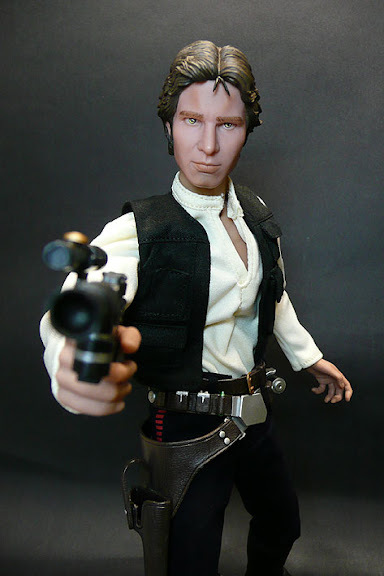 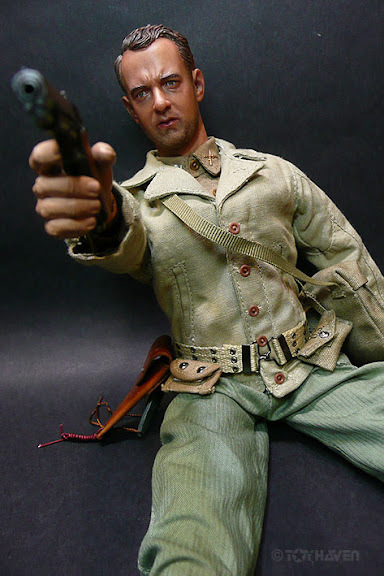 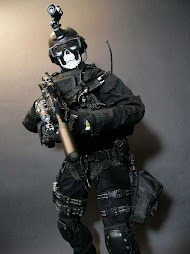 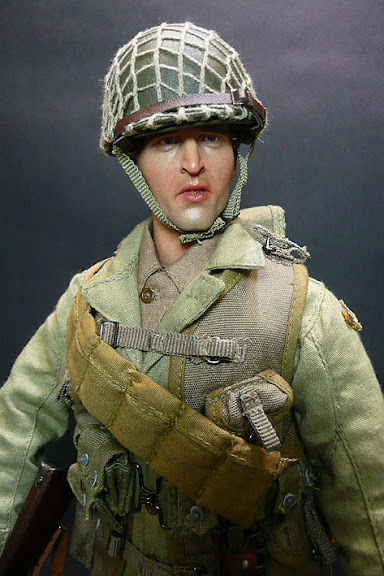 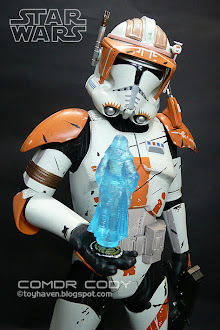 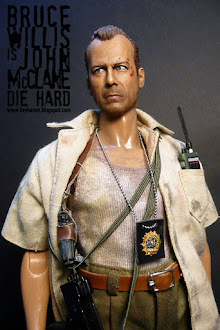 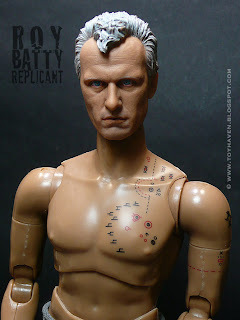 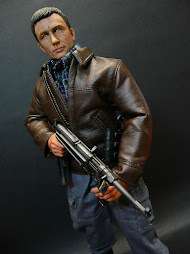 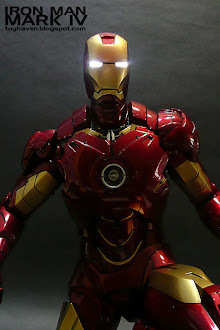 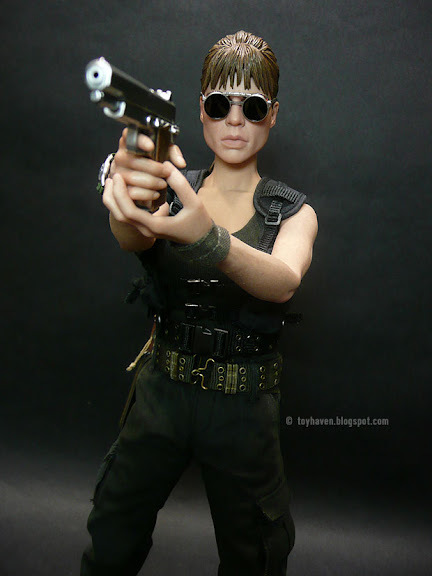 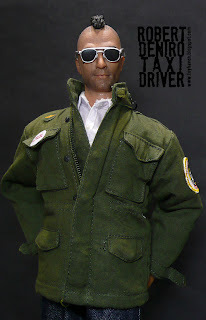 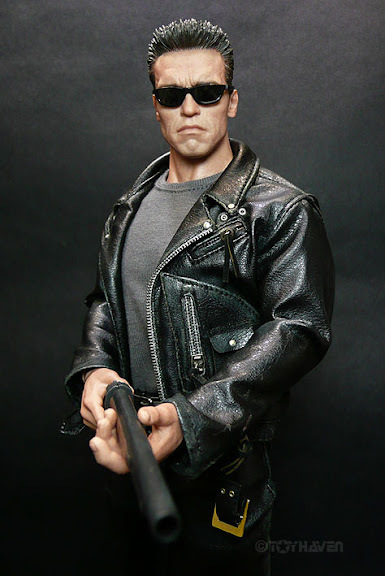 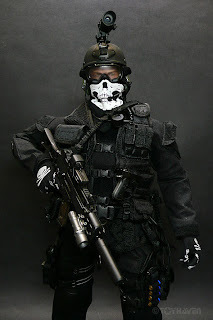 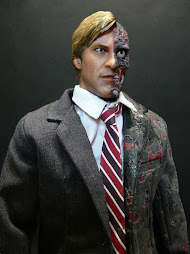 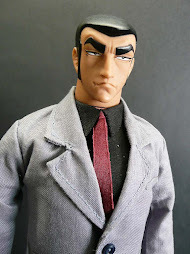 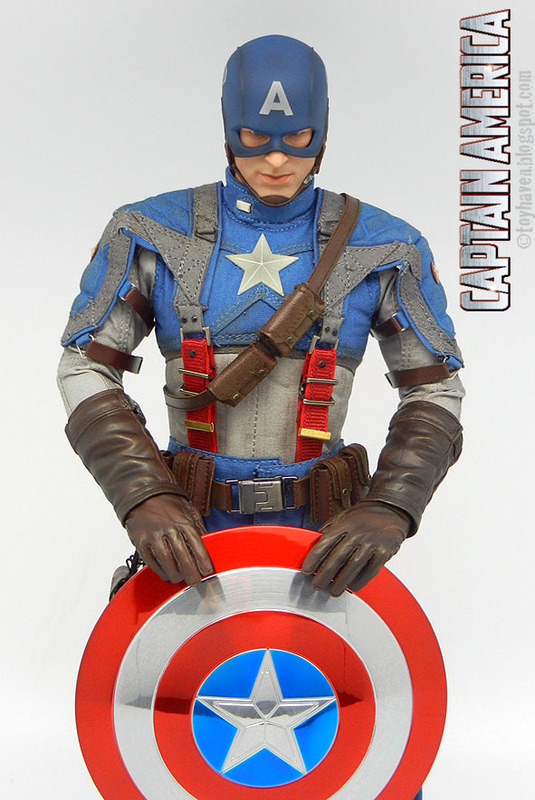 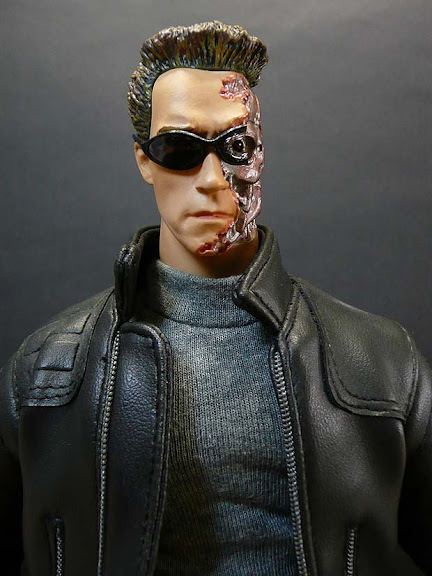 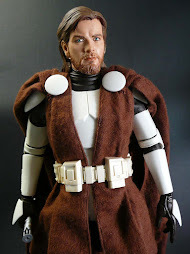 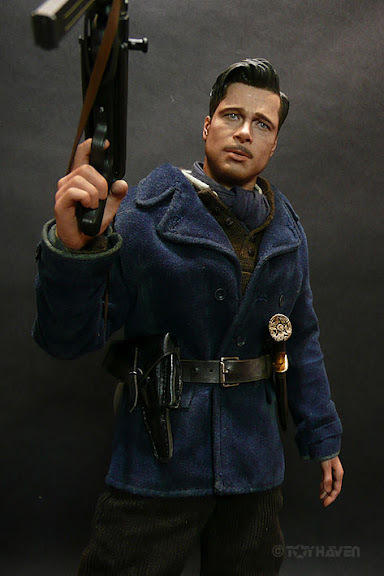 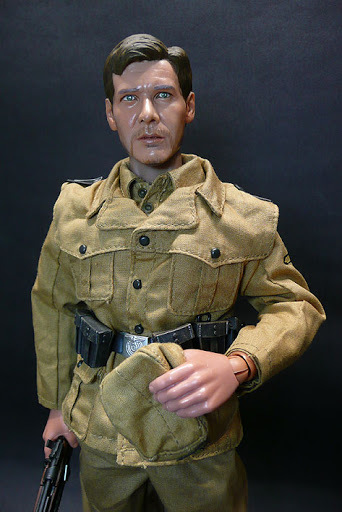 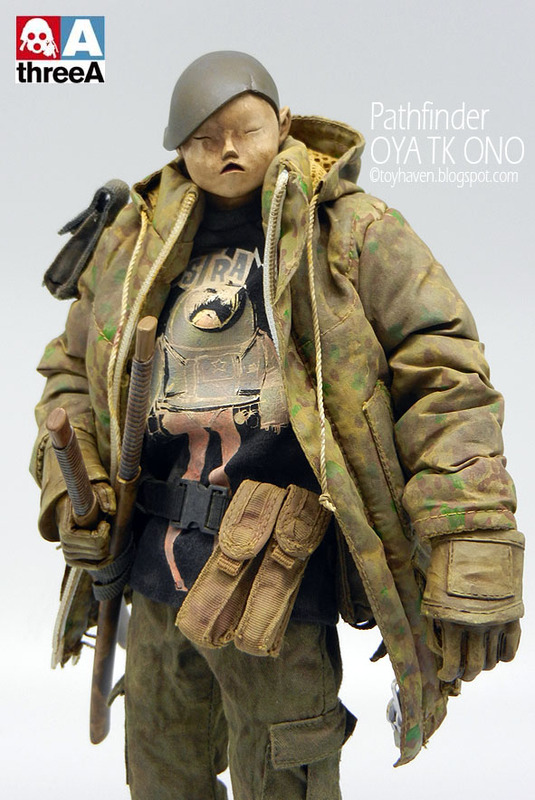 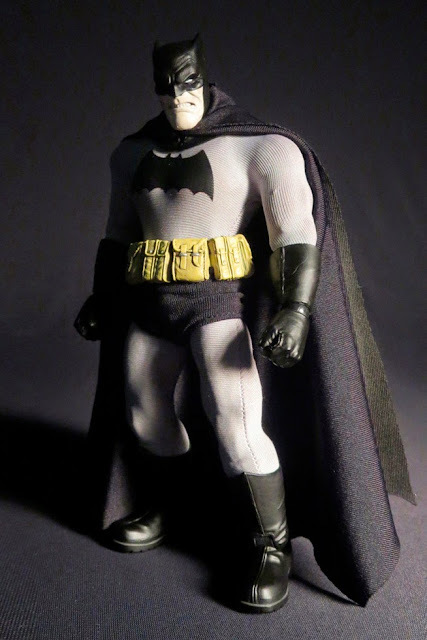 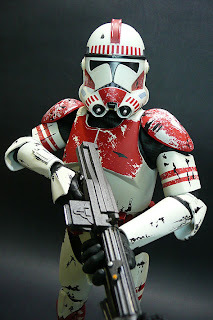 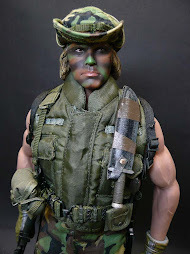 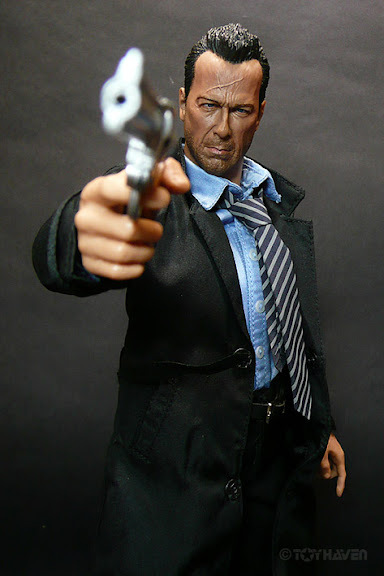 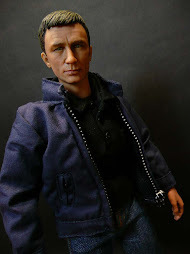 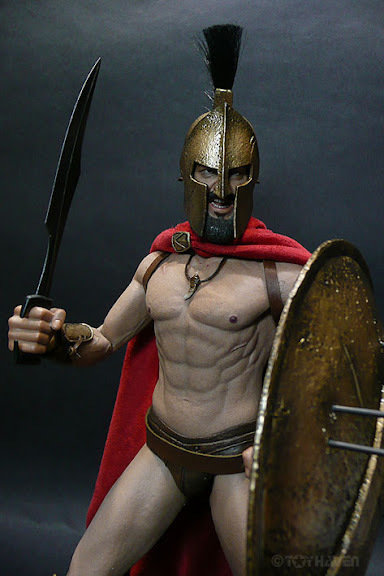 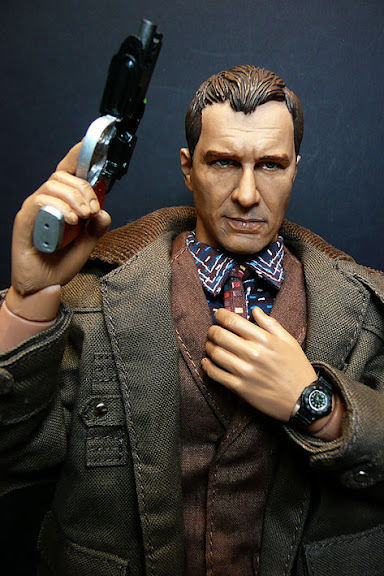 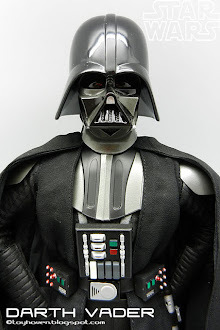 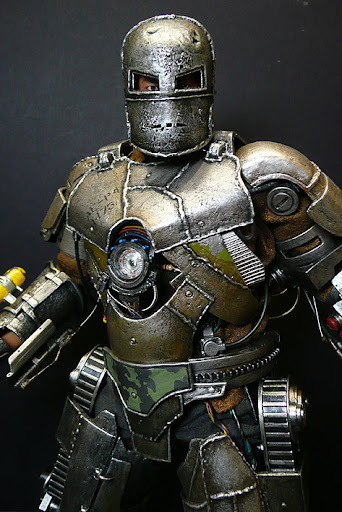 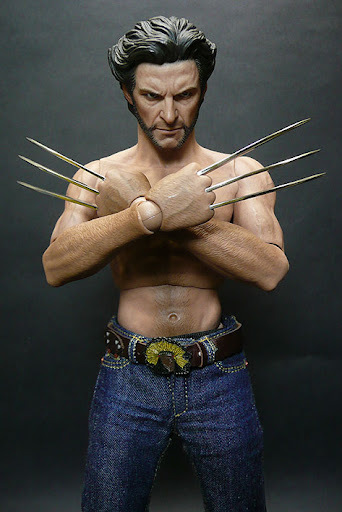 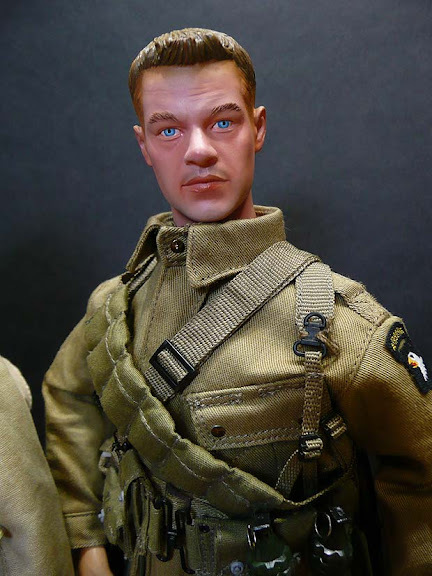 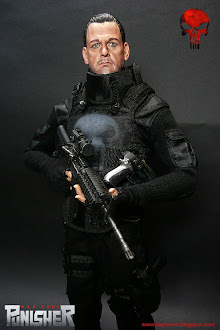 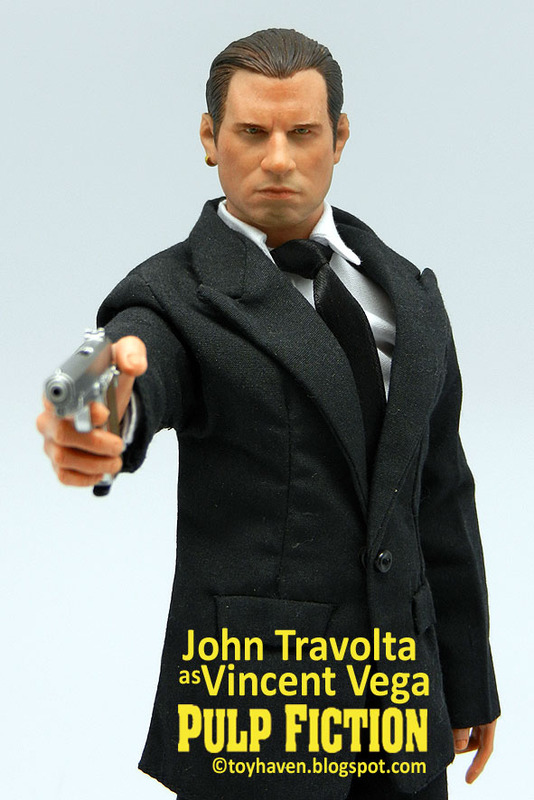 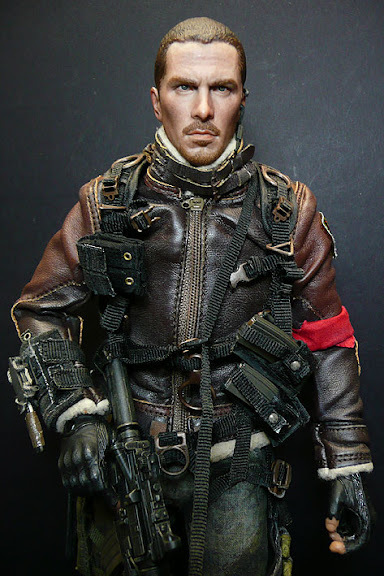 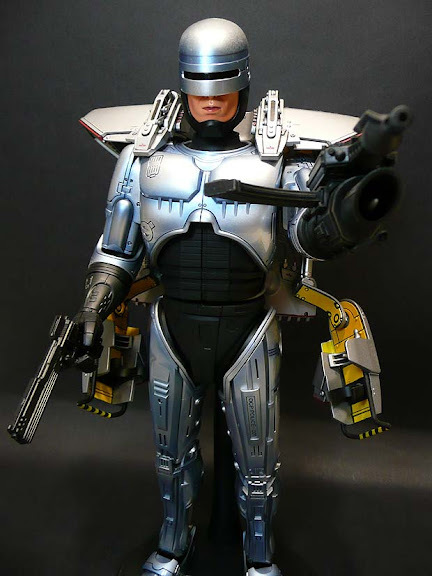 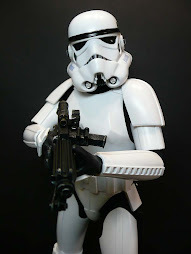 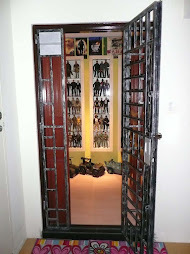 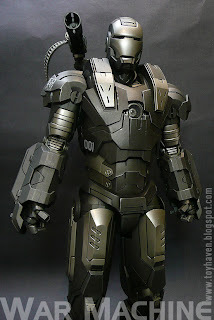 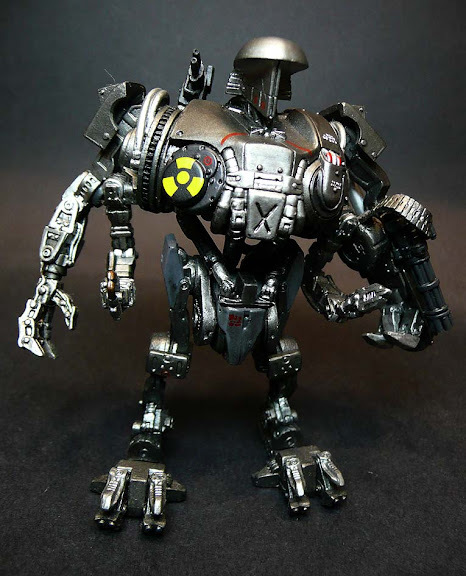 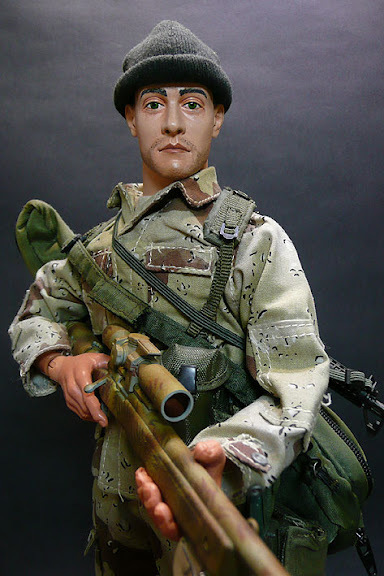 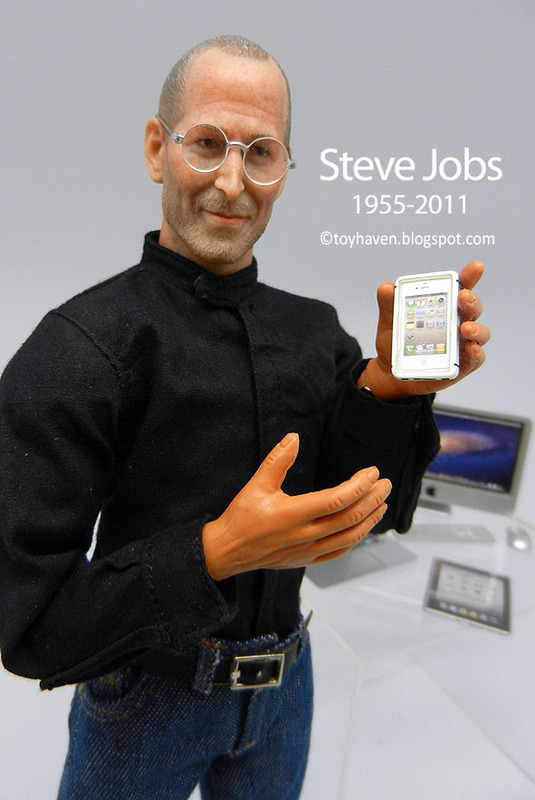 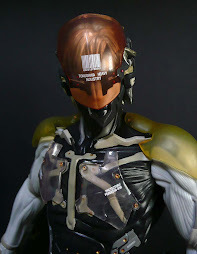 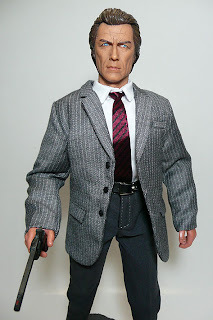 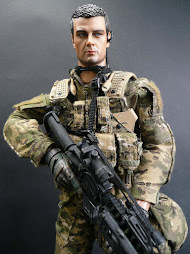 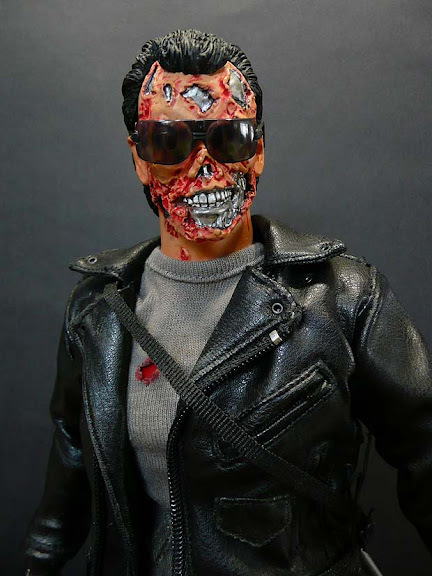 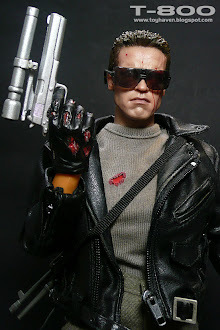 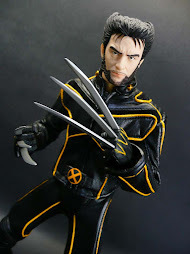 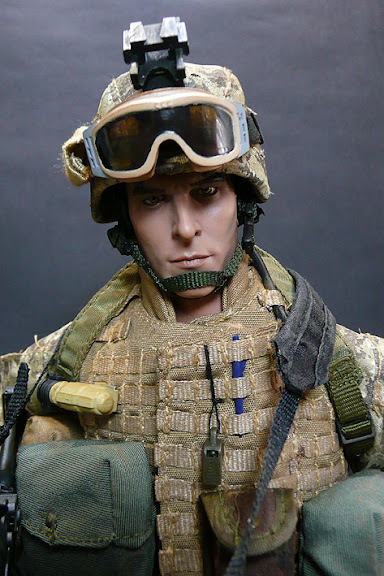 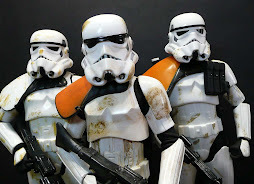 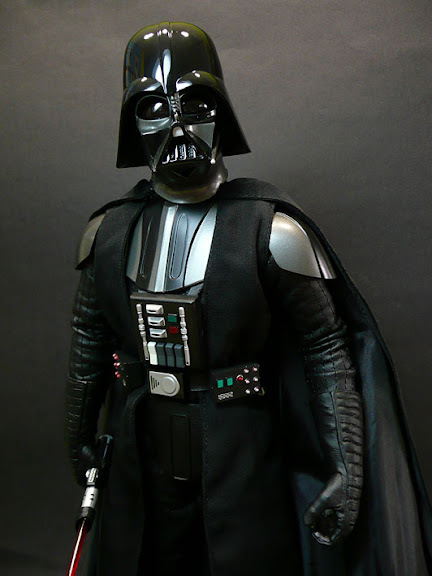 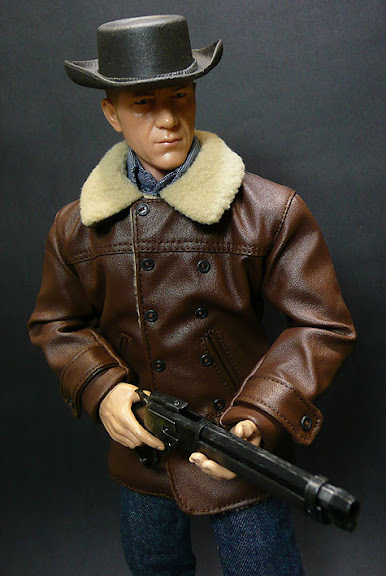 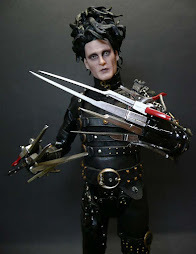 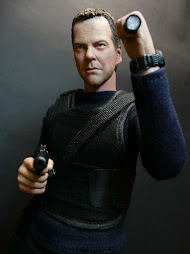 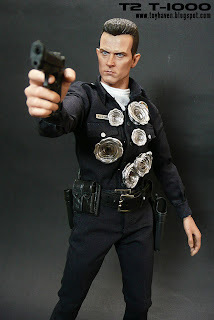 Smaller scaled action figures tend to be made from molded plastic with cuts made into the plastic body parts to allow articulation which looses the seamless look of the figure. 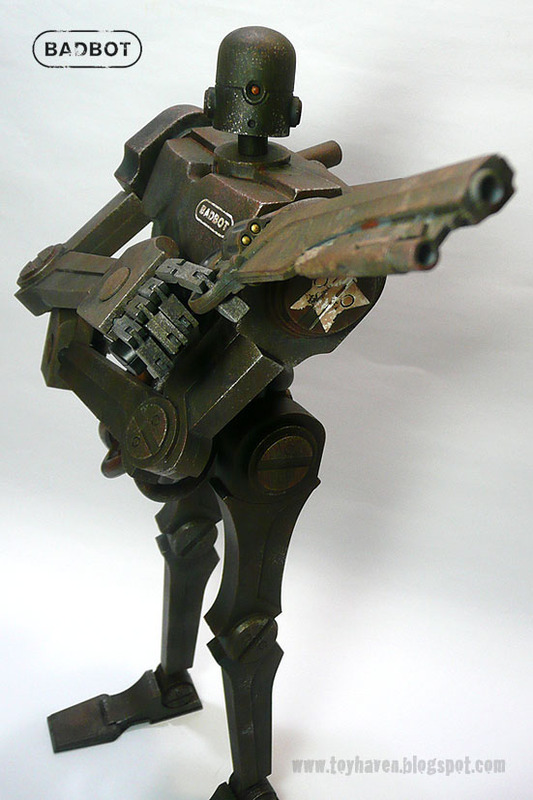 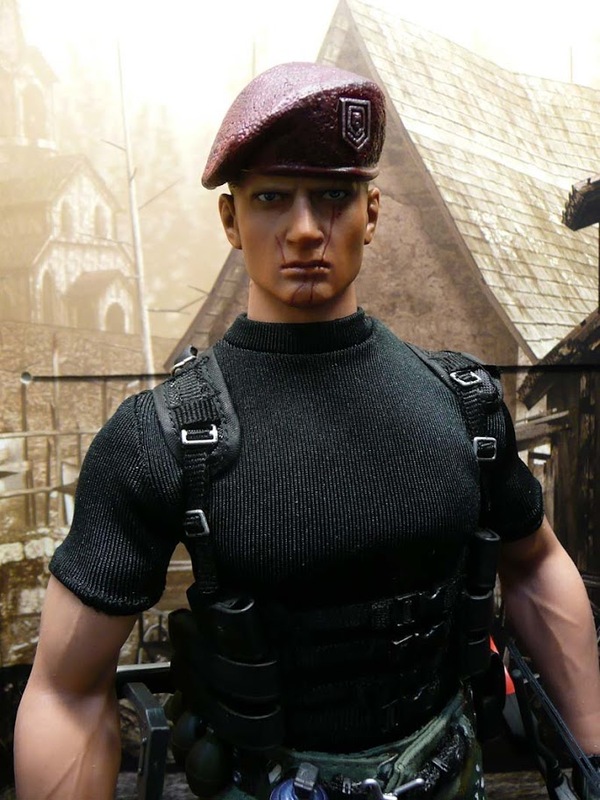 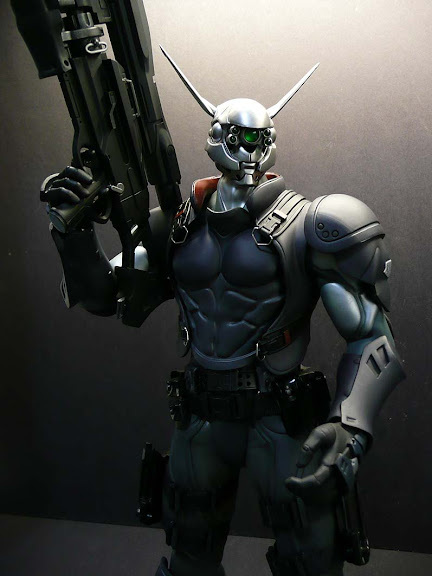 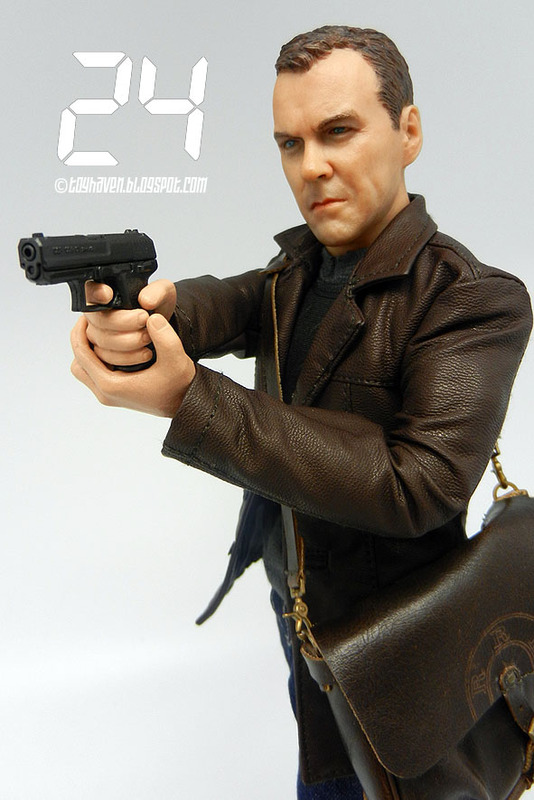 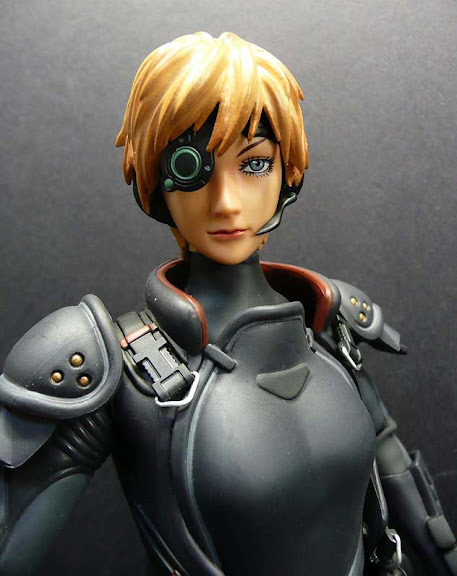 This figure, which ships in January 2015, will set you back about US$65. 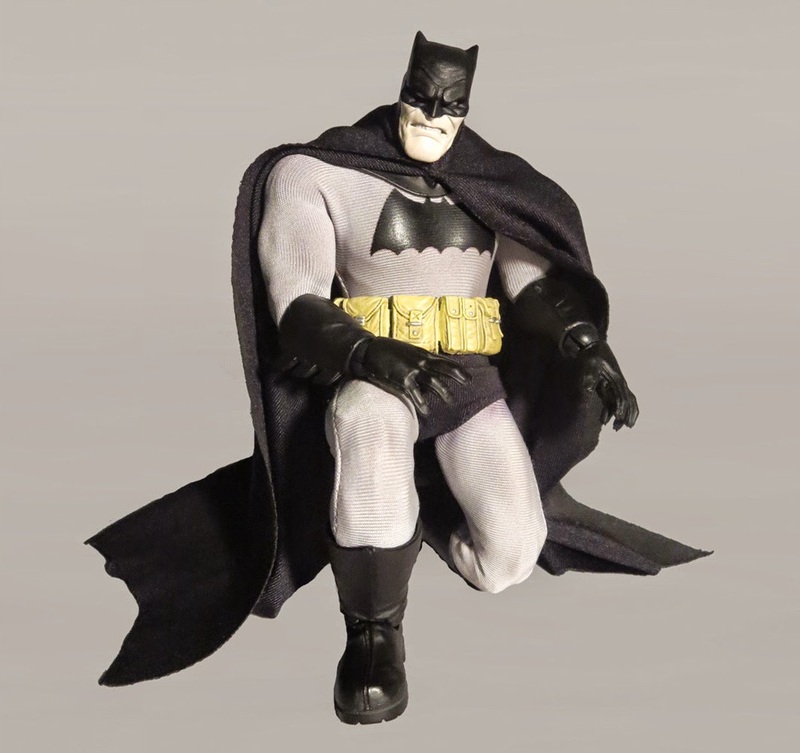 The Mezco One:12 scale Frank Miller Dark Knight Batman 6.75-inch figure will come with: hyper articulated body featuring over 30 points of articulation with real fabric clothing, Four (4) pairs of interchangeable hands including: One (1) pair of fists, One (1) pair of “holding” hands, One (1) pair of posing hands, One (1) pair of “Batarang” hands. 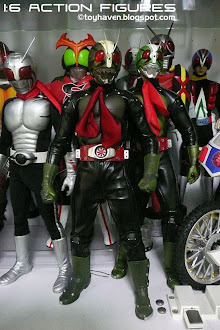 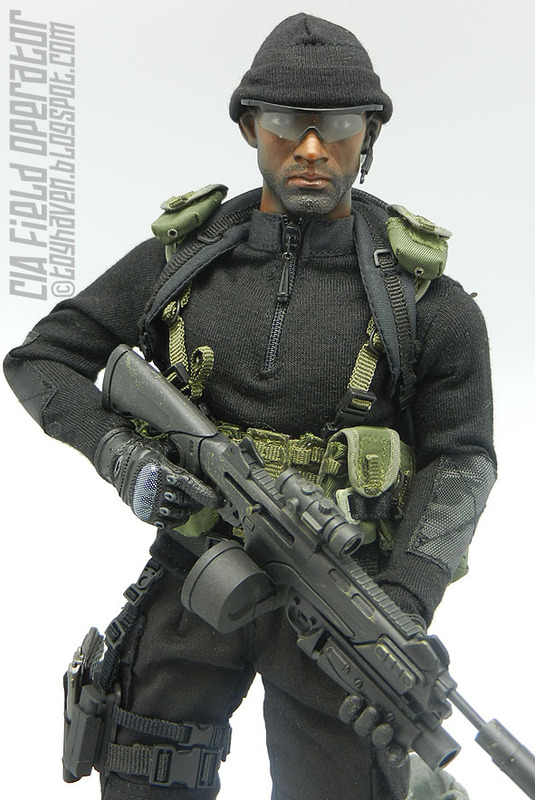 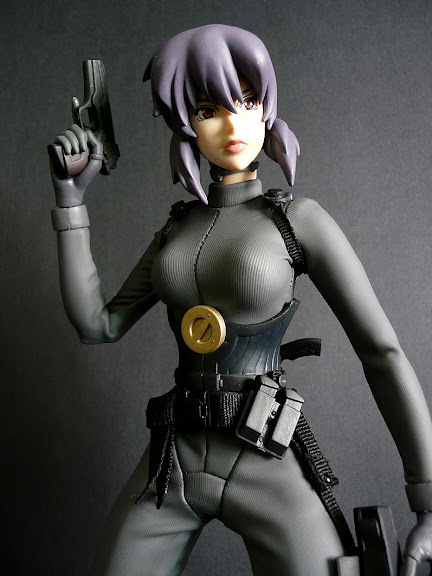 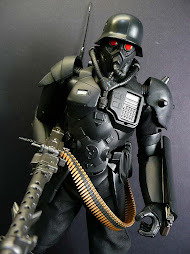 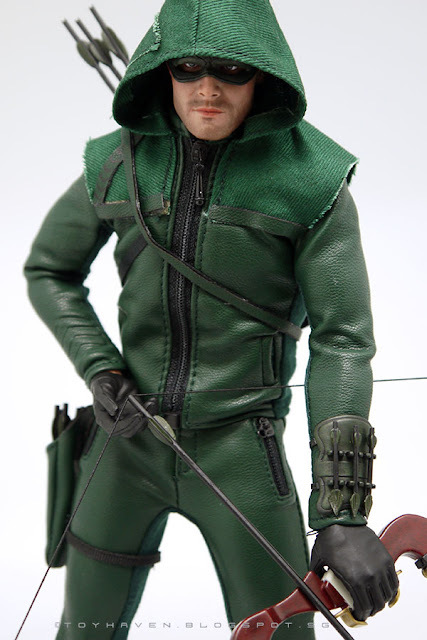 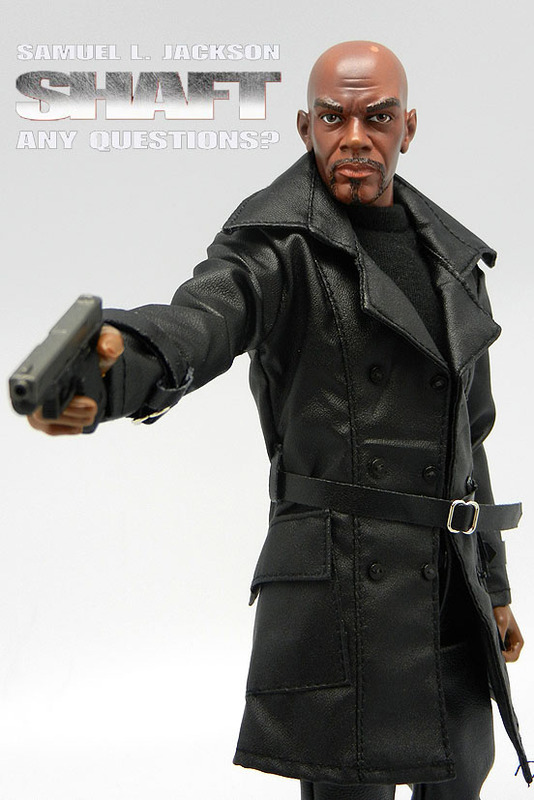 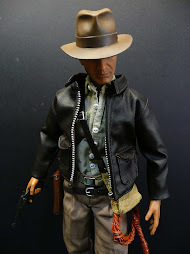 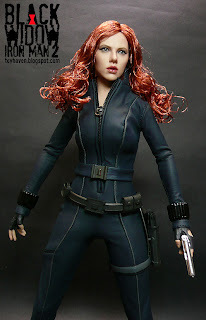 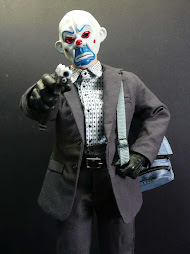 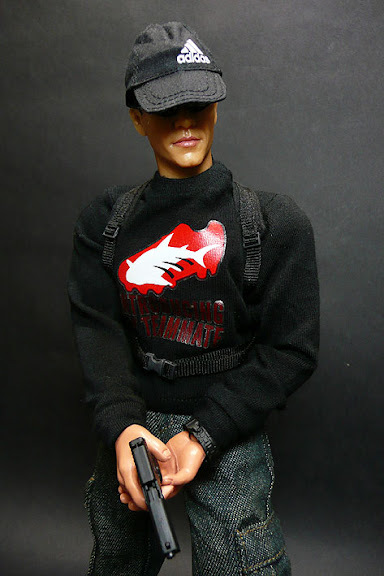 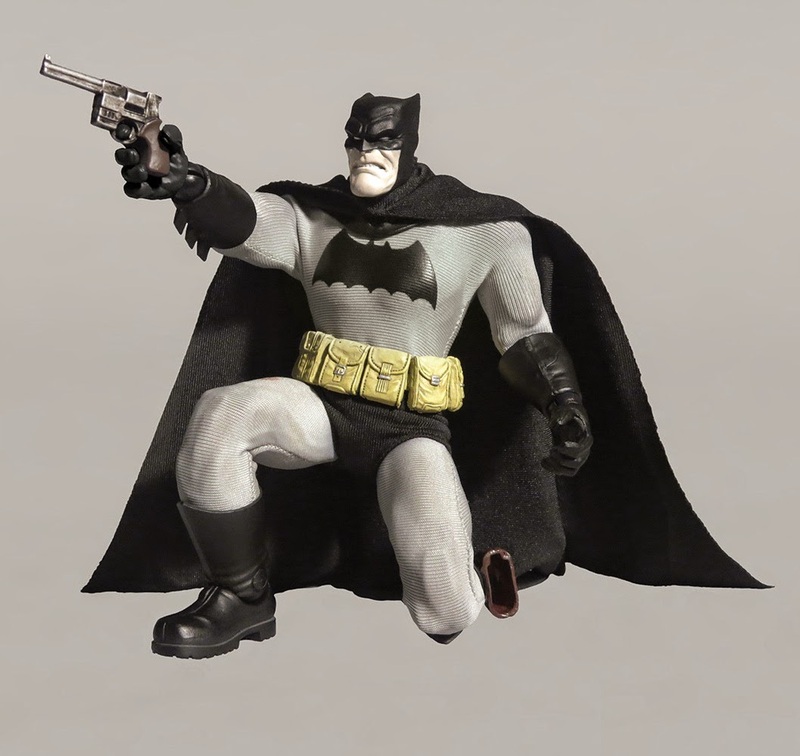 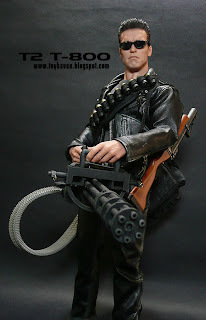 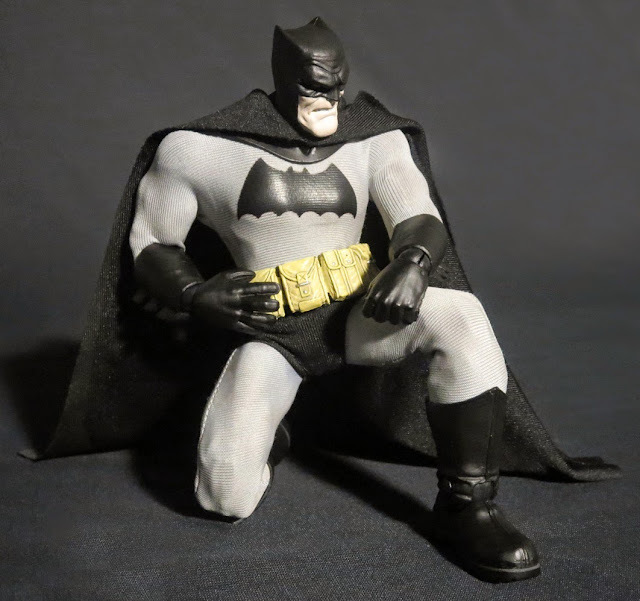 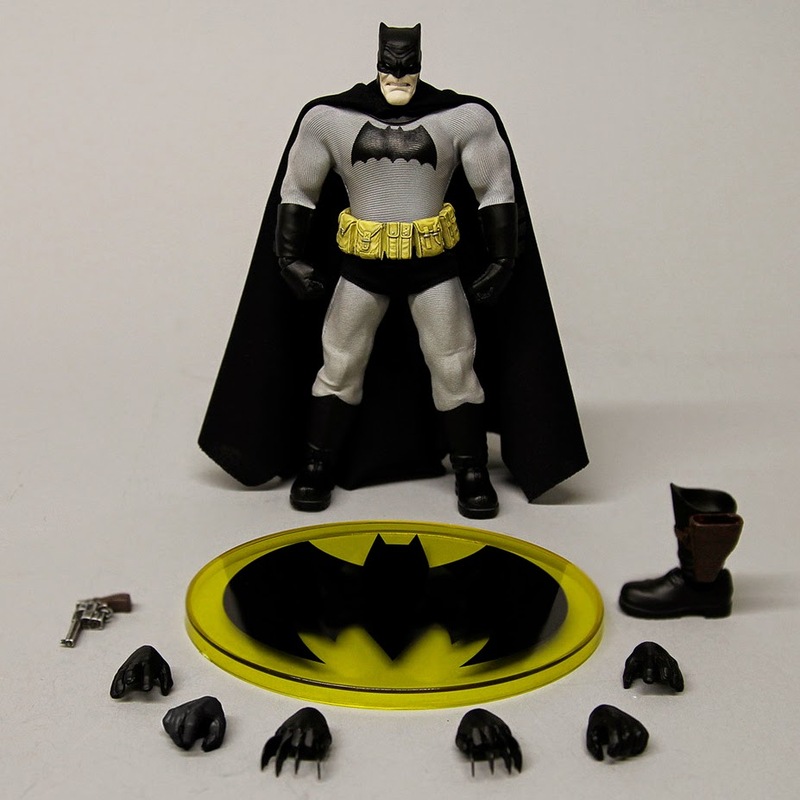 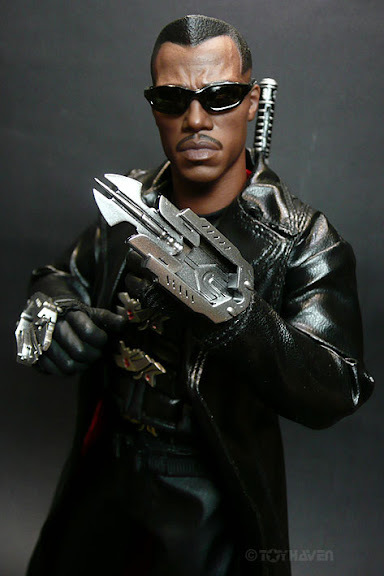 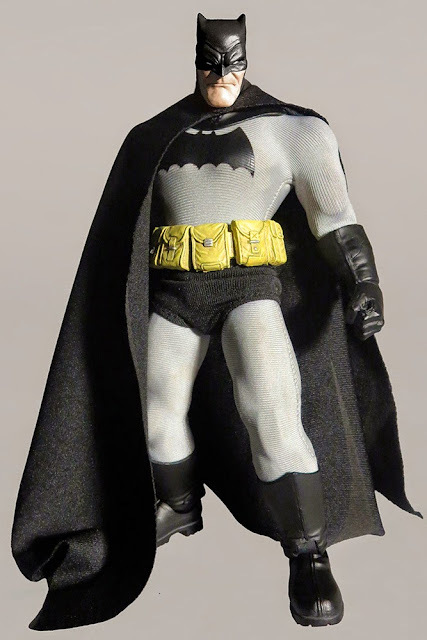 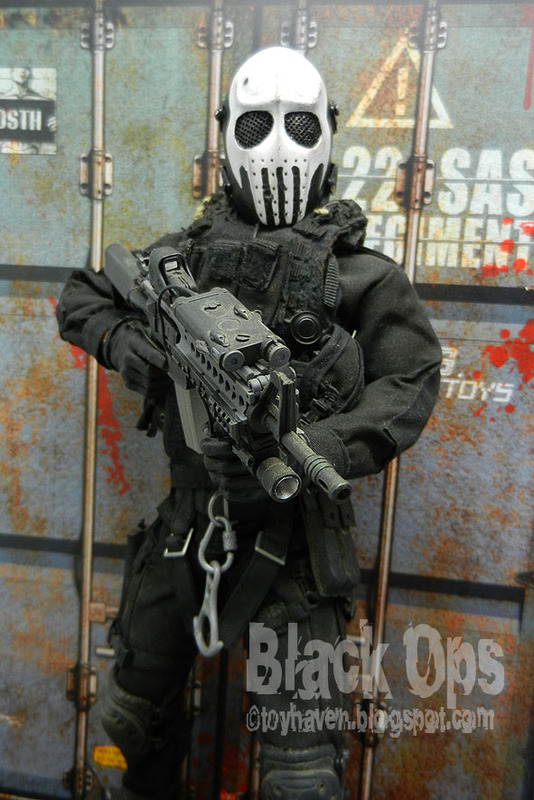 One (1) interchangeable boot with pistol holster, One (1) removable utility belt, One (1) pistol, One (1) grappling hook, One (1) alternate head, One (1) Bat-symbol display base, One (1) articulated figure stand for multiple dynamic figure poses, One (1) detachable cape-posing stand accessory. 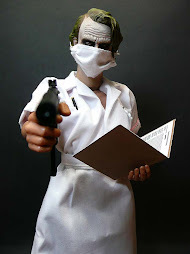 Figure comes in fifth panel window box with slip cover. 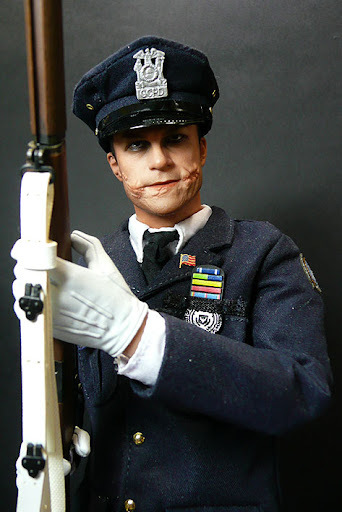 Currently planned for the One:12 Collective are characters from The DC Universe, Judge Dredd, Classic Universal Monsters, and some other surprises to be announced in the future. 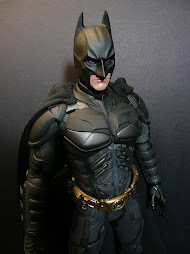 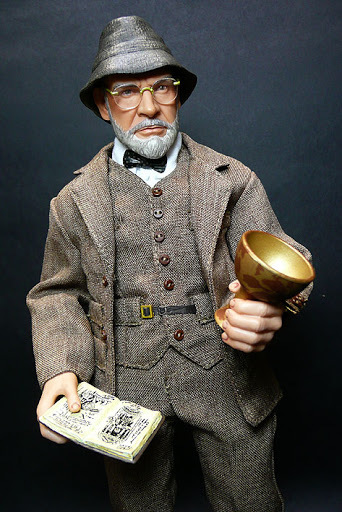 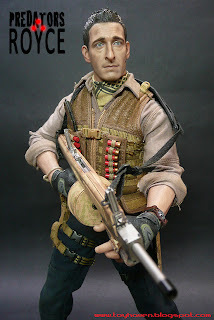 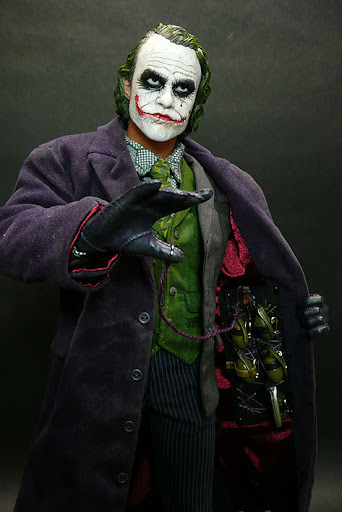 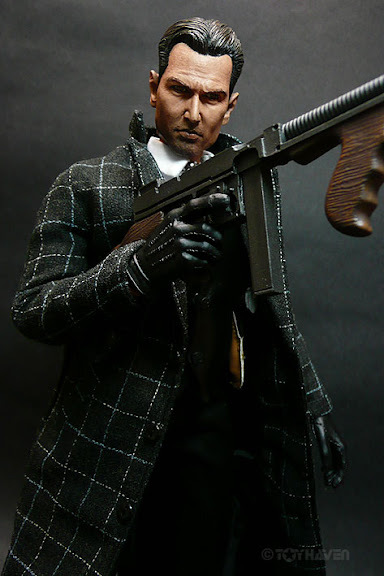 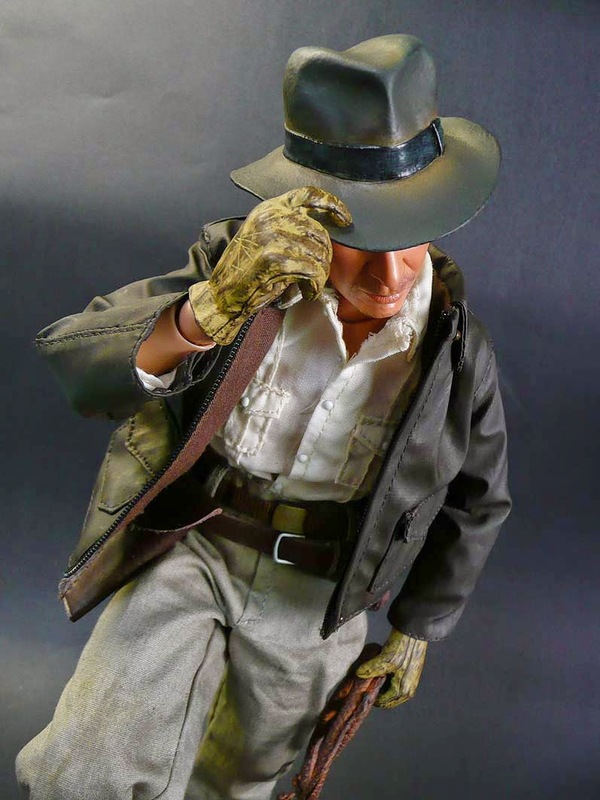 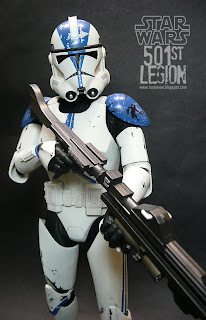 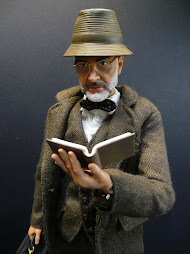 I have been following this Mezco product line very closely since it was shown at recent toy conventions, and it doesn't look as good as I was hoping it would be. 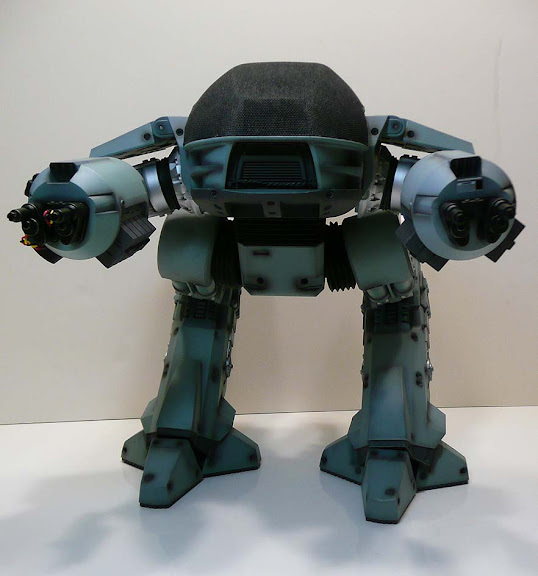 He looks a bit short and squat... 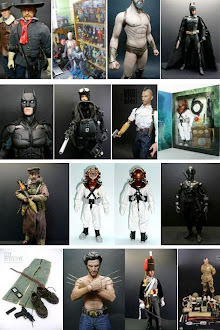 I'll still get one, though. 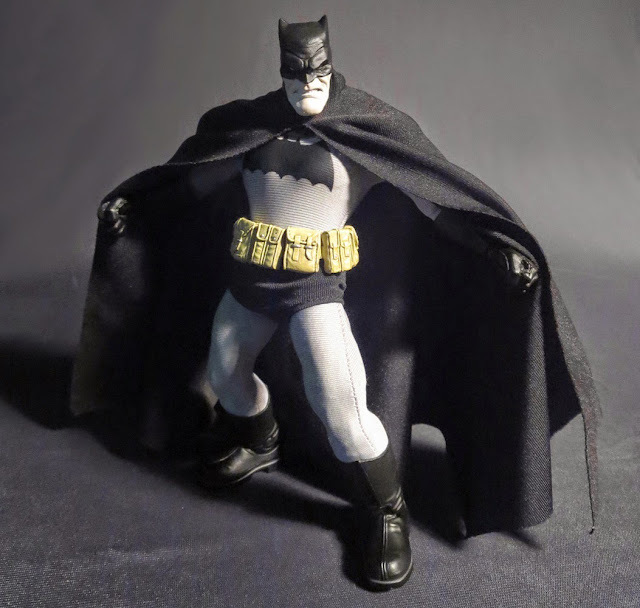 I have the Medicom The Dark Knight Returns figure that just came out, and let me tell you, that figure is really sweet - short on accessories, and I wish it had better ankle articulation, but it is a sweet figure all the same. 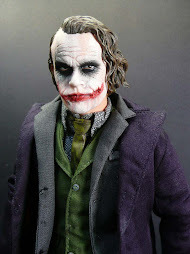 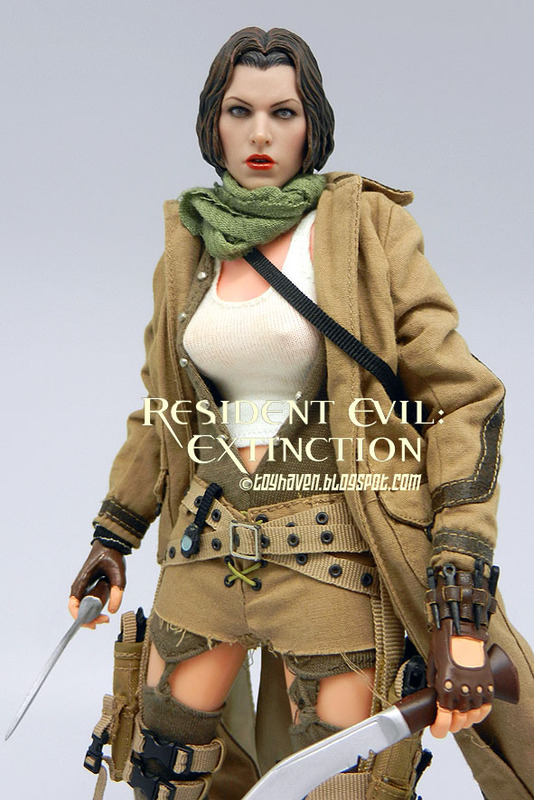 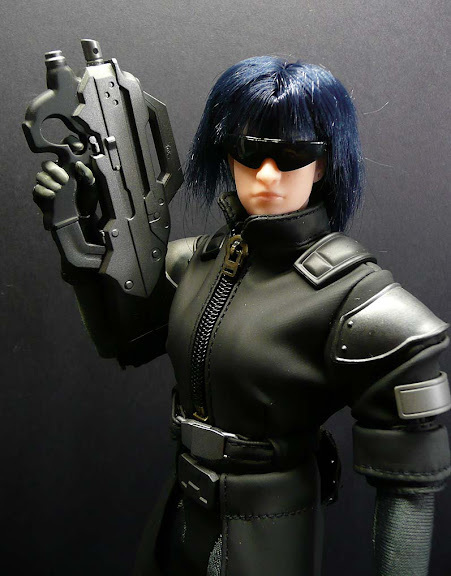 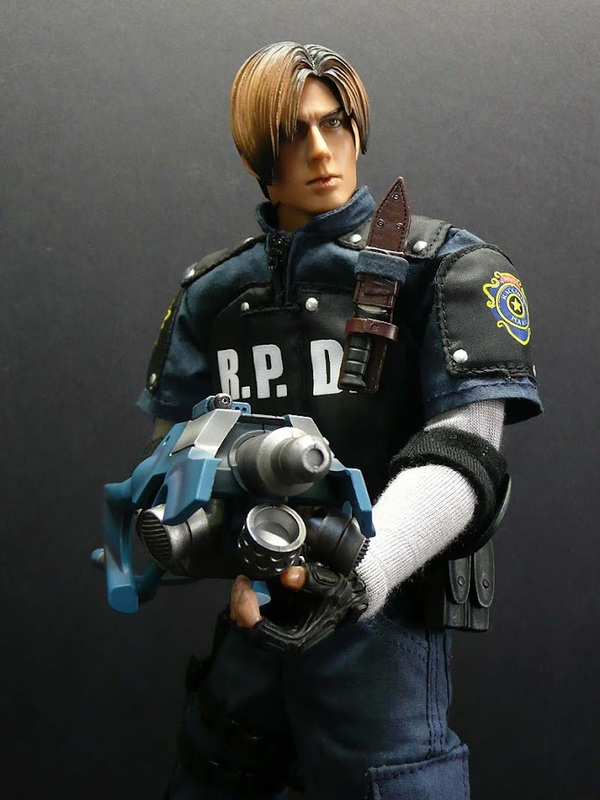 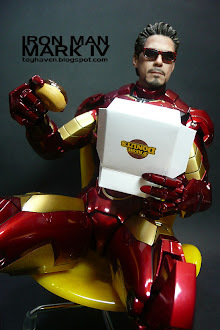 Does anyone know where I can preorder this fig in Singapore though? 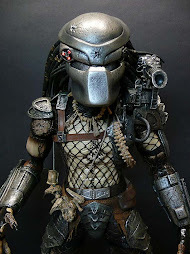 I haven't been able to find him anywhere!